Urdu is in demand nowadays. After getting notifications for making our national language the official language, another shocking but good news is on it’s way. In this age of advance technology, people belonging to every class, age and gender have smart phones. Which are cheaper as well and affordable too. The mobile companies have different packages but revolutionary internet is also available to all people. After seeing great demand of social media apps e.g. WhatsApp and Viber, the companies gave a thought of giving a local version to its users. So they can use it more frequently. 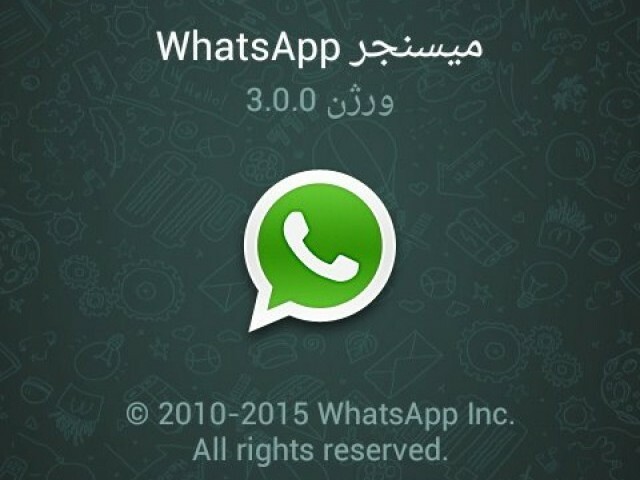 An Urdu version of Whatsapp will soon be available on the Android platform, Whatsapp Translation Administrator Ahsan Saeed announced. In a conversation to local daily in Pakistan he said “The translation process started three years ago, while the final moderation process took three months”, adding that the whole process was driven by volunteers. “I translated 753 strings and moderated 2,089 strings in less than three months and made Urdu [the] 18th language in which WhatsApp for Android has been fully translated,” Saeed said in a Facebook post. Since Whatsapp users can already communicate in Urdu using an Urdu keyboard, Saeed said his efforts were geared towards localizing the app itself for Urdu users. This included translating everything from the menus to the settings. Saeed, who had already been working with Twitter as an Urdu localization moderator since 2012, signed up when Whatsapp called volunteers for their translation project. Around three months ago when the Whatsapp Urdu moderation process started, Saeed was promoted to Translation Administrator. The most interesting aspect of these volunteer-driven translation projects is that the individuals involved dedicate their energies entirely out of love for their languages. Now that Android has taken the lead in translating one of the most popular apps in Pakistan to Urdu, it remains to be seen if Whatsapp Urdu will be coming to iOS or Windows Phone next.